Here are The Winners of The POP AWARDS 2018, The First Annual Pop Awards! The voting results of the Pop Awards 2018 are in and Pop Magazine is ready to announce the winners. Your voice has been heard, your votes counted, and we have combined the numbers from the online voting and from our expert panel. Your overwhelming response made the first annual Pop Awards a real success and we are immensely grateful for your participation! With 25 nominees spread across five categories, the level of competition, the force of style and creativity, and the pull of charisma and musicianship has bent gravity. This was the real Big Bang! The Pop Awards exploded into life in 2018 and will be back next year, and you will again have your say. 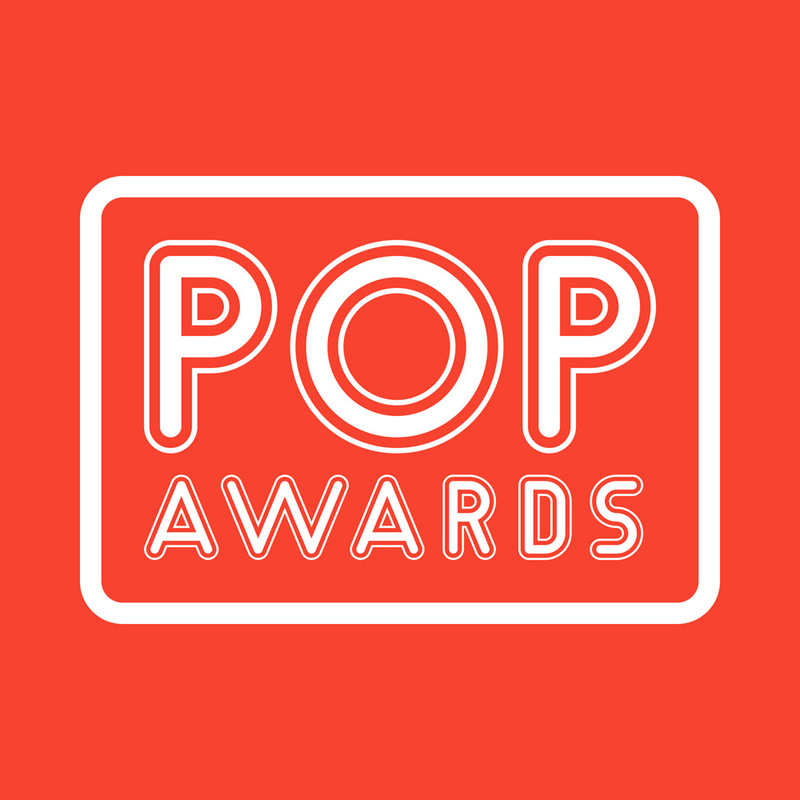 Now it’s time to celebrate as we reveal the winners of the first annual Pop Awards! We salute you! The pop goddess is a music force of nature and is quite simply an industry galactico. Fans hang on her every word, and her kick-in-the-balls album, “Reputation”, cracked bone and burnt down her virginal empire. The triple-platinum LP topped the charts in over 10 countries and was America’s biggest-selling album of 2017. Swift by name and swift by nature, Pop Awards 2018 crowns the lightspeed pop-whirlwind. Taylor Swift is a seismic pop phenomenon with a string of top albums and singles that most other artists can only dream of. Her audacity is matched only by her ability to evolve and narrate songs, which mostly scratch her personal life. Known for her one-note monotone, which stays at one pitch for a duration of time, the “Swift staple” can be traced back to her 2007 debut smash hit, “Our Song”. Her albums, which include “Fearless”, “1989”, and “Reputation”, have become benchmarks in the industry. She is capable of writing lyrics far superior to her peers and understands the music industry better than most. Swift is a global brand and sales dream with hit singles including “Love Story”, “I Knew You Were Trouble”, and “We Are Never Ever Getting Back Together”. “Reputation” is the biggest-selling album of 2017. The album reinvents Taylor Swift and lunges at those who know her, presume to know her, and all those who have crossed this femme fatale. With ties to Nashville, Swift is a leading contemporary recording artist and one of the most recognizable names in music history. We salute you! Gifted, suave, with cockney swagger, Cunningham’s debut album beats off stiff competition. The album of flamenco passion is set in a dreamy landscape and drips with style and class. The 12-track record will stand the test of time and is a platform for massive success. Pop Awards 2018 is proud to announce Charlie Cunningham with “Lines” the winner. London-based Charlie Cunningham is originally from Bedfordshire, England, and is renowned for his guitar sound, which draws heavily on his two years spent living in Seville, Spain. The innovative singer-songwriter channels a dynamic style called Golpe, a guitar tapping technique. Cunningham’s songwriting is delicate, intricate, and melodic, with flourishes of intimacy. The track “Minimum” is a fan favorite, highlighting his skill, power, and passion, while “Answers” highlights the softness and tenderness of his voice. With his sultry delivery and his level of guitar playing, Charlie Cunningham is flying high. His debut album “Lines” is a testament to his ability and dedication, and it lays the benchmark for other new musicians. Cunningham is an artist to watch. We salute you! Rising from the deep, the beasts of heavy metal from England confidently swaggered their way to pole position. The song, from the album “Infinite”, is the purest Deep Purple sound of any recent release, with a tongue-in-cheek dig at their advancing years. It perfectly blends all shades of purple and gets back to what the guys do best, top music. Pop Awards 2018 happily crowns Deep Purple with “All I Got Is You” the winner. Supercharged in 2017, Deep Purple slammed back into our lives with the gutsy cut “All I Got Is You”. Showing little sign of aging, apart from the witty lyrics, the track tiptoes the perfect line between their 1970s heyday and the modern world. Though it has been nearly 50 years since the British rockers first burst eardrums, Ian Paice still smashes a swinging drum beat, as Steve Morse and Don Airey texture the atmosphere with weeping leads and lush keyboard. “All I Got Is You” captures the spirit of a band considered to be among the pioneers of heavy metal and modern hard rock. We salute you! Emily Estefan is a gifted multi-istrumentalist and singer who produced her own debut album “Take Whatever You Want”, and not many young artists can boast that. She successfully scorches songs with heady-rock vocals and blends of Jazz and R&B. Definitely an artist to watch, and Pop Awards 2018 is proud to announce her the winner. Emily Estefan may be the daughter of superstars Emilio and Gloria Estefan, but she is her own person and talent. She has found her own voice and path by harnessing what she does best – music. Estefan first performed live at Hollywood Bowl in 2014, and at the release of her debut single in 2015 made waves among industry insiders. She then performed her first major concert in February 2017 at Gusman Concert Hall in Miami, and her debut album was released after the final curtain. Without a doubt, Emily Estefan is a top talent with all the integrity for stardom. We salute you! The original girl-power girl group tore up the 90s and made it their own. Despite numerous fallouts with the law and each other, the crazily popular trio earned four number one singles and four platinum-certified albums. This group added chili powder to the spice and made Mel B look rather sedate. Beating off some amazing competition, TLC well deserve the Pop Awards 2018 accolade. We all need a little TLC, and the American girl group has answered the SOS. The original line-up was formed in 1990 and consisted of Tionne “T-Boz” Watkins, Lisa “Left Eye” Lopes, and Rozonda “Chilli” Thomas. Having sold over 65 million records worldwide, TLC is the best-selling American girl group. They sprinkled verve over the pop charts and earned four number one singles: “Creep”, “Waterfalls”, “No Scrubs”, and “Unpretty”. The group recorded four platinum-selling albums, including “CrazySexyCool”, which remains the only album by a female singing group to receive a diamond certification. However, in the midst of their success, the members of TLC filed for bankruptcy in 1995, and in 2002 Lisa Lopes was killed in a car accident. In 2017, a fifth and final TLC album was released by the two remaining members.